Ulsaha Committee malayalam movie to be directed by Akku Akbar will have Jayaram and his son Kalidasan in lead. Scripted by Shyju Anthikkad, Ulsaha Committee is touted as an out and out comedy movie. Yesteryear actress Sheela, Lal and Baburaj will give life to prominent characters in the movie. The movie would start rolling from the first quarter of 2014. Jayaram is much popular among the family audience who has given life to many interesting characters. After donning important roles in various movies for the past 2.5 decades, the actor is gearing up to widen his space in the malayalam film industry. After delivering hits like Verthu Alla Bhaya and Bharya Athra Pora, Jayaram is teaming up with director Akku Akbar for his next venture. Titled 'Ulsaha Committee', the movie will have Jayaram and his son Kalidasan in lead. Scripted by Shyju Anthikkad, Ulsaha Committee is touted as an out and out comedy movie. Yesteryear actress Sheela, Lal and Baburaj will give life to prominent characters in the movie. Shyju who has directed movies like Scene Nammude Veedu and Shakespeare M.A is much known for his majestic screenplay. 'Ulsaha Committee' will also be the reunion of Jayaram and Sheela after sharing screen space in 'Manasinakkare'. 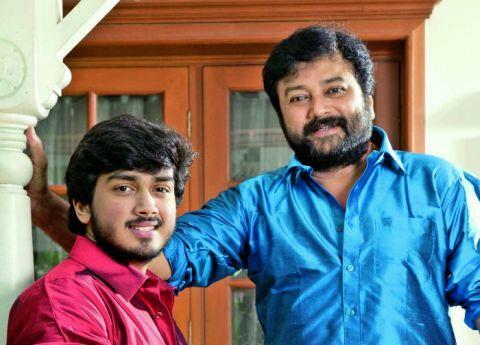 Another interesting fact is the presence of Jayaram's son Kalidasan who has already proved his mettle as an actor at his younger age. The movie would start rolling from the first quarter of 2014. Jayaram is riding high with a number of movies in kitty. Along with one of the most anticipated movie of the year 'Salaam Kashmir', the actor would have few releases including 'Swapaanam', 'Ginger', 'Nadan' and 'Onnum Mindathe'. Deepu Anthikkad's 'Lucky Star' was a real break for the actor in the recent past which delivered yet another feather in his caps. Sugeeth's 'Onnum Mindathe' would be his next project which zooms into story of a middle class couple who has their own 'small big dreams as like others. Their intense relationship and unexpected event to be followed will frame the theme of the story. The interesting tagline 'Love after Marriage' can be connected with the life of any couple. Jayaram plays the role of agricultural officer. The actor is currently busy working with Kamal's 'Nadan' which portraits the lives of theater artists.